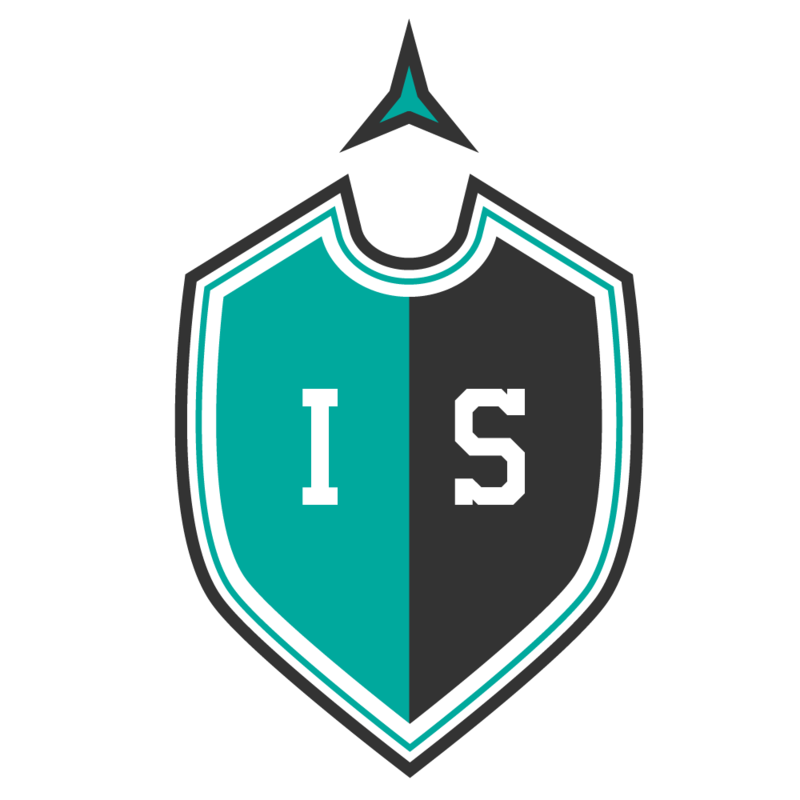 Internacional de Santiago are an up and coming football team based in Santiago, the capital city of Chile. The founder got in touch with me as a football crest designer, to work with him and help design a club crest for the team. They wanted a badge that the whole squad could get behind and also transcend football into the wider community. At the beginning of the project I studied hundreds of different football crests from around the world. The aim was to work out what made a football crest memorable and recognisable. I discovered many styles of crests; some utilised animals and landmarks, others were simple monograms, and some were a mixture of both. 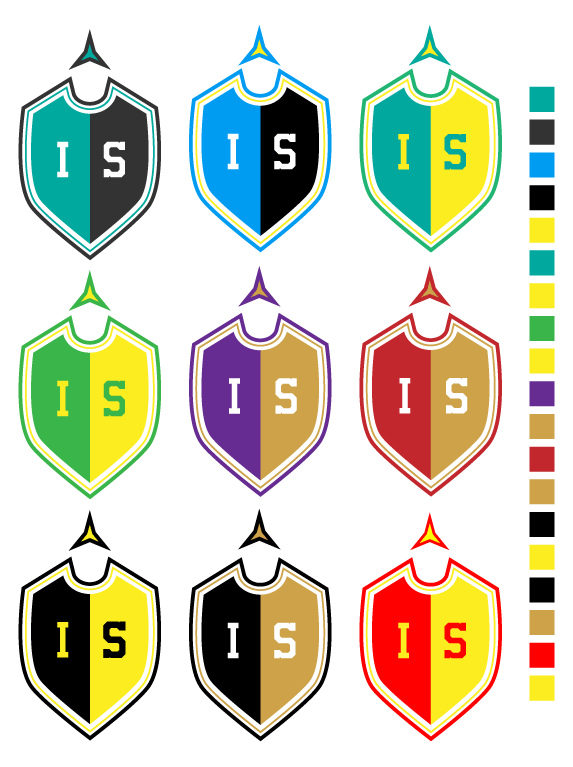 To gauge the style they were after, various crest designed were provided to choose from, before we made the final decision. I proposed a Chilean wild dog to represent the fighting spirit of the club. Shaking hands represented the community aspect of the club. I offered a llama as the mascot of the club, with the various colours of the football representing the inclusiveness of the team. This design offered a simpler and more stylised option. A simple crest with a choice of icon was another option. An older, more vintage style proposed another idea to the board. A retro logo shows the clubs history and apparent heritage. Once we had found the perfect design, the team colours became our priority. I created samples of different colour swatches to find the right combination to use. 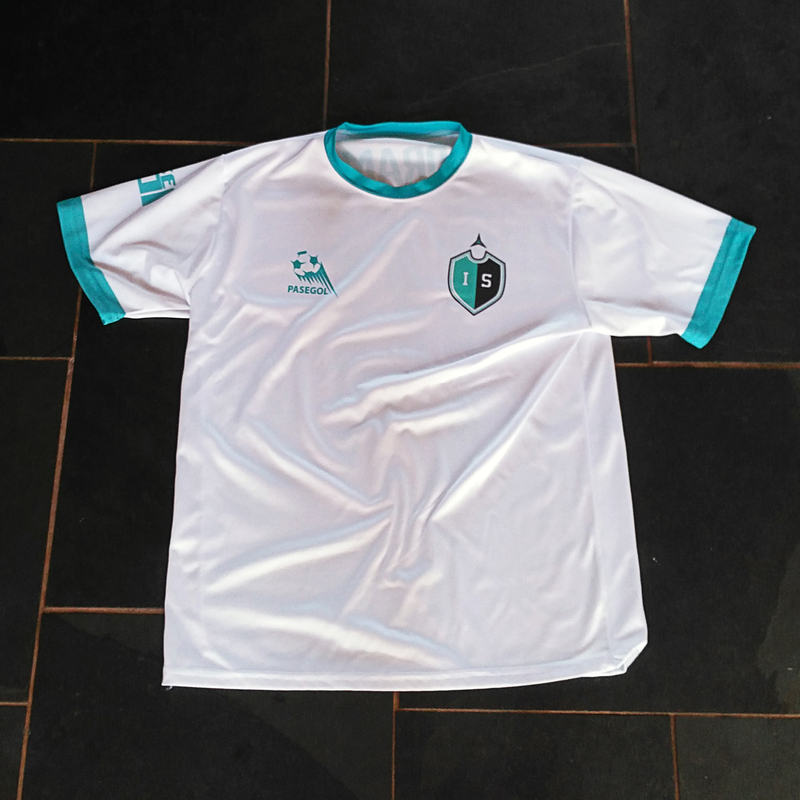 The colour choices of the crest would also influence the kit colour, so we had to find the perfect palette. Colour options of the final design. The colour combinations we chose included a dark grey, aqua, and white. While looking at other crests, I realised aqua is rarely used, so this palette helps the crest stand out from the crowd. Final colour palette for the crest and kit. This crest was the final outcome, and pleases both me and the team. This final style was far simpler than some of the other designs I had proposed, but I believe it works brilliantly as a football crest. Outlines added to the shield give the logo a vintage feel, and the serif font choice, also adds to the feeling that the club has been established for a long time. The star at the top, known as the internationalist star, represents the global outlook and welcoming atmosphere of the club. 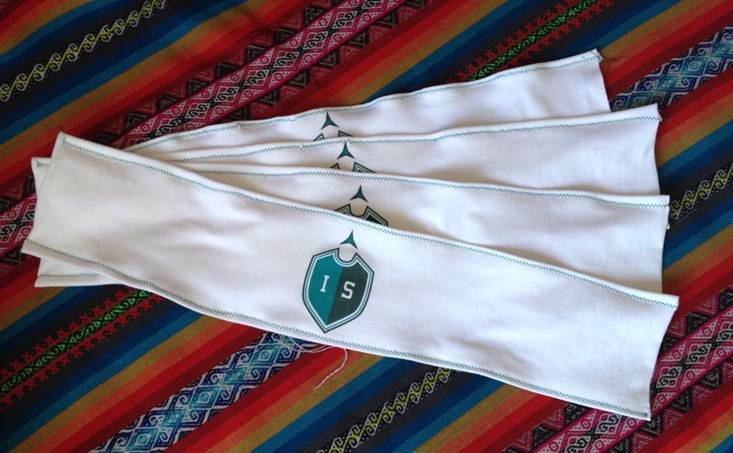 By wearing branded armbands, the crest represents the club in various sporting competitions around their area. Armbands used by the team when representing the club in various competitions. It was a delight to receive a shirt so I can represent the team here in the UK. 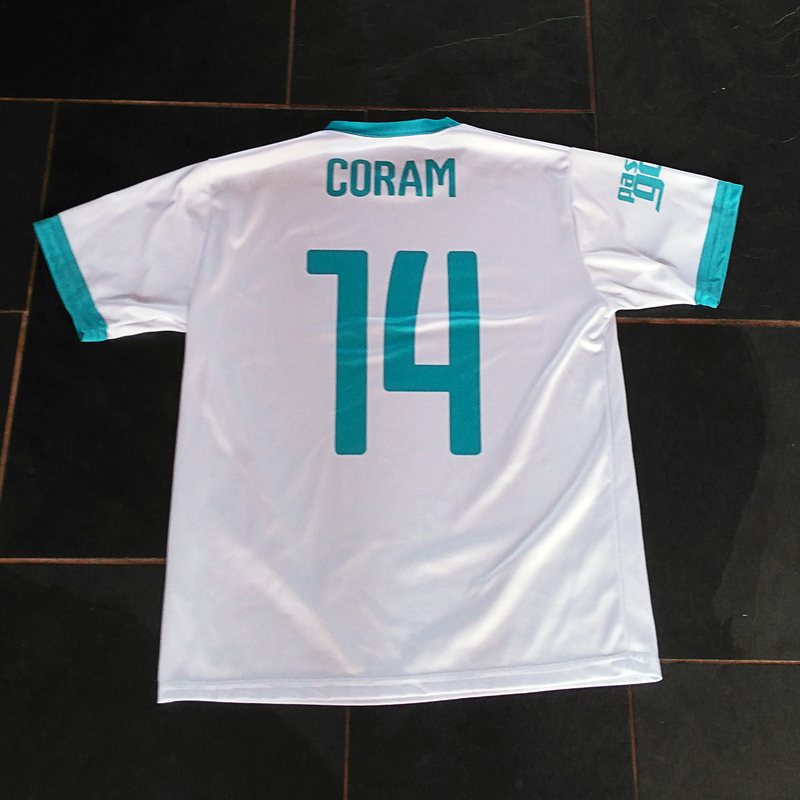 The shirt is white in colour with some aqua highlights, which looks really great as a football strip. Internacional de Santiago have done a great job in creating a fantastic shirt to go along with my crest design. I hope the team goes from strength to strength in the coming seasons, and the club becomes the hub of their community. Front of the final kit design. Back of final kit design.